Michael’s Genuine® chef de cuisine Tim Piazza has his hands in a box of artichokes. Peeling them, especially baby ones, is not exactly a stimulating activity, but Tim is wearing one of his wide-eyed smiles, the one that makes him look a little crazy. Spring is here, and he is clearly in the zone. Mother Earth Miami, sprouting from Litter River Cooperative’s Farmer Incubator Program, is a new source for us this season, with Tim bringing in vegetables and greens like turnip, carrot, spigariello kale and fairytale eggplant. This kind of organic growth in the local farming community is a definite reason to get excited. And to make Eggplant Tomato Curry. The combination of Indian spices and local ingredients has proven to be a hit, maximizing the flavor potential of a curry. Roasted eggplant is sautéed with cinnamon, star anise, cardamom, coriander, cumin, black pepper, lemon pepper, fenugreek, and fennel seed, served at room temperature with lightly-marinated chickpeas, some cilantro and a freshly-made cucumber raita served with a side of fresh pita. Katia last year at a pre-opening wine tasting for staff at Amara. Ms. Bechara, a wine rep by trade raised in Colombia found she had a green thumb and founded Mother Earth Miami in November 2015. The move began in her backyard after participating in various small farmer workshops with experienced leaders like Margie Pikarsky of Bee Heaven Farm in Homestead and John Gentzel of J&P Apiary. “It was the best canvas for my budding farming career,” says Bechara of her impromptu home project. She volunteered for urban farmer Muriel Olivares in 2013, to learn the ropes from one of the best who started small. Olivares chose her last spring to participate in the incubator. Designed to educate and give urban farmers starting out that extra boost for success, it provides them with a plot of land and shared farm tools, as well as classes. It’s the ultimate small business resource when you deal in seeds and soil. “I consider Muriel, and Tiffany Noe, my mentors,” says Bechara. Her current business partner and friend, Gabi Serra, was a plot neighbor in the program. Born and raised in Venezuela, Serra’s focus on the herbalism side of farming brings great balance to Mother Earth’s proposition. They also grow edible flowers, herbs, and medicinals like calendula, nasturtiums, and moringa. “Gabi and I love working together and we have so many aspirations to help the Miami community,” say Berchara. At its peak, South Florida’s growing season always brings fresh, local ingredients to our doorstep thanks to new farms like Mother Earth. Their passion is contagious and brings new ideas to the kitchen. But it’s the mainstays that keep the flagship humming. 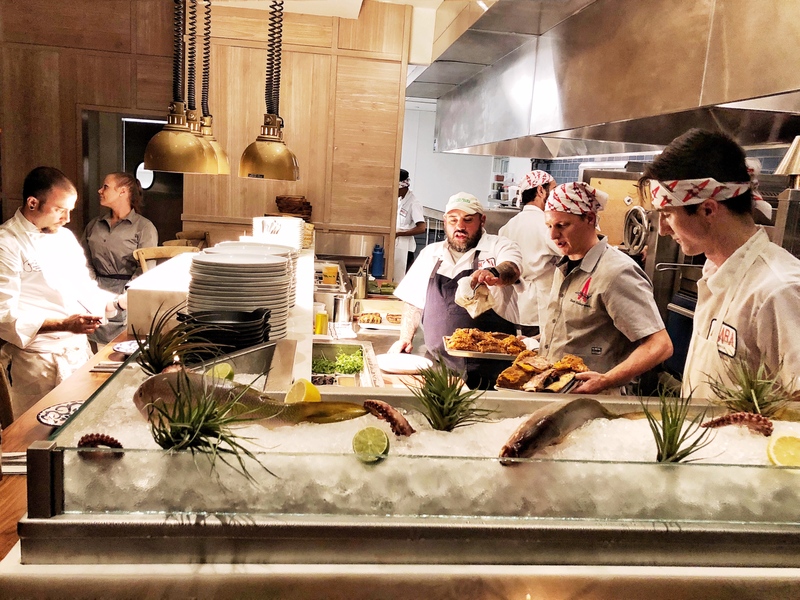 With its 11th anniversary this week, Michael’s Genuine® Food & Drink continues to be the nucleus of activity for seasonal change, a north star for our restaurant group, setting the tone and the bar for our chefs. If you want to get a taste of what’s happening now in the fields and who is growing what you’re eating, you need look no further that Tim’s menu. There’s always a method to the madness. But that madness is familiar to those in our line of work. Working with farmers is an ever-changing, ongoing process that he’s constantly adapting to. He’s currently working with 5 or 6 farms, with familiar names such as Michael Borek’s Teena’s Pride, who we receive beautiful heirloom tomatoes from, amongst other things, every season. When asked what he was most excited to work with ingredient-wise this season, he simply shrugged with a baffled look on his face. Always working with what he receives and changing things up, or using standard products in new ways — it is hard for him to narrow it down. From soil health to genetics, North Carolina-based Joyce Farms does grass-fed beef right, because that’s the only way Ron Joyce knows. Standing behind the tasty intersection of tradition, science and passion, Joyce’s energy is palpable through the phone as we recount how a jet-setting French chick became a worldwide calling to find lost heritage breeds and do the work to raise them the way they’re supposed to be raised. 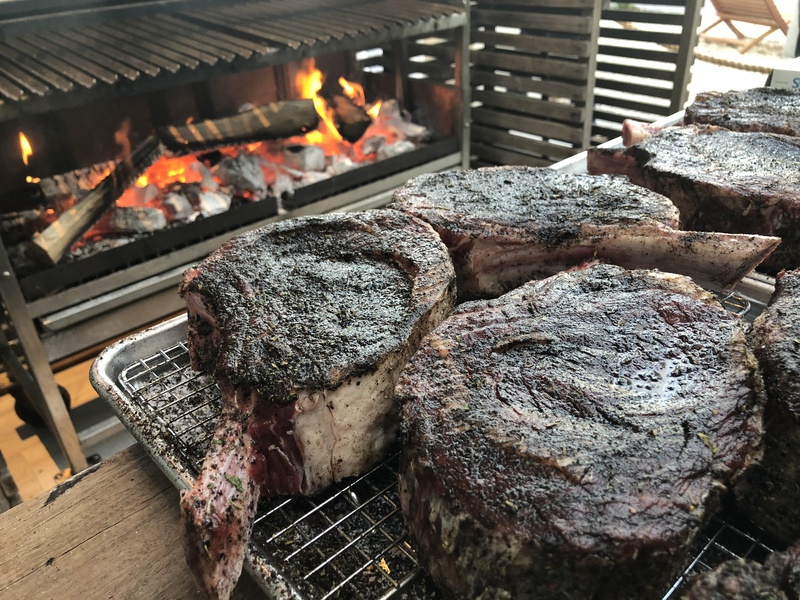 In November, Amara at Paraiso chef Michael Paley and senior sous Max Makowski paid Joyce Farms a visit to check in on his product mix and talk sourcing for our new restaurant’s menu including dry-aged grass-fed ribeye. So for about a month now, I’ve been wanting to catch up with this man behind one of the most exciting ranching operations in the U.S. It’s been much longer than that since we last connected — on Michael’s first visit in 2010 to get acquainted with the now so familiar bird on the Michael’s Genuine menu — Poulet Rouge. Joyce left one of those impressions that sticks with you, though. Something in his voice rang true. Genuine… The same voice greeted me on the phone last week, but with news to share about the his consortium of farms, the company’s focused growth and his current projects that have our ears perked. Doing it right we learn is more scientific than we could have ever imagined, not to mention more expensive. Ron explains that people tend to forget grain has been status quo since WWII. Corn is cheap, but it’s not natural and collateral damage included a shift in fat content from unsaturated to saturated, an increase in the presence of E. coli, and a change in the pH of the meat. The whole thing started with Poulet Rouge, and Joyce blames his father, who was with another livestock company in the ’50s and ’60s. He would talk about how disappointed he was in how chicken had changed. Chef Paley, chef Max and the team at Amara during one of four preview dinners this week. With the Art Basel pop-up wrapped, it’s time to shift gears for opening in January. This chicken problem was the problem that got him started, and the French helped him chose the Label Rouge, a naked neck bird with thin skin at half the thickness of its industrial counterparts that renders crispy. It took Joyce a while to break even, but after they made these birds sustainable the question was naturally, what else? In America it has been cheap and large for decades. The meat and poultry is market driven here. It’s a give-the-people-what-they-want mentality that can be poison for a food system. And labels aren’t helping. They can be downright misleading. Free-range this, and pastured that. Semantics, however, mean something. They can mean everything. They can create a movement, even. 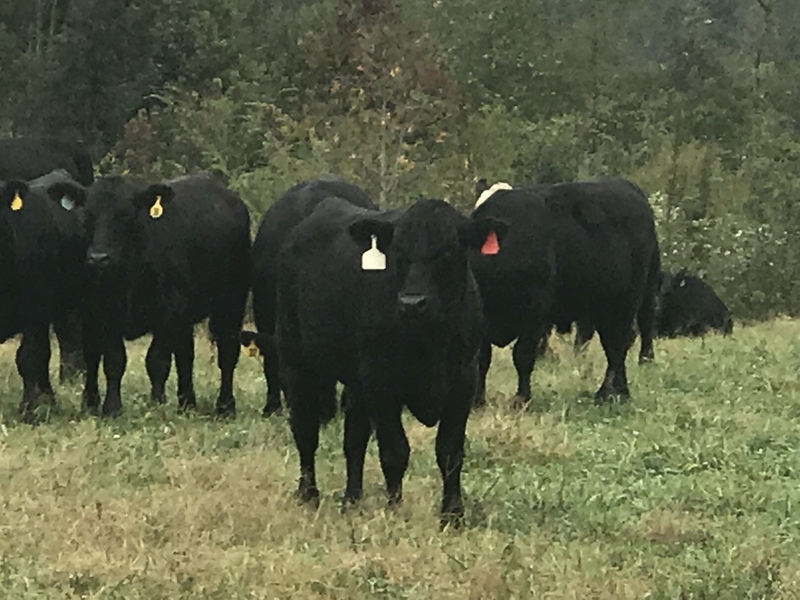 Disillusioned with what universities were researching and teaching on big Ag’s dime, this farmer, Dr. Allen Williams gathered a band of rebels and dropped out of the system to form a consultancy and started working on cattle. They found that the genetics in the animal had changed to be efficient on corn. Allen Williams, Joyce’s soil guy. No grain finishing here, just fire for the Aberdeen Angus ribeye. Ph.D. in Genetics & Reproductive Physiology from LSU. He has focused on soil and regenerative farming techniques to develop a grazing cocktail for the cattle comprised of 18-24 different plants including legume. Happy cows indeed. In three years, they were able to lower impact costs and eliminate use of pesticides and insecticides. This is not what your extension agent is telling you to do. 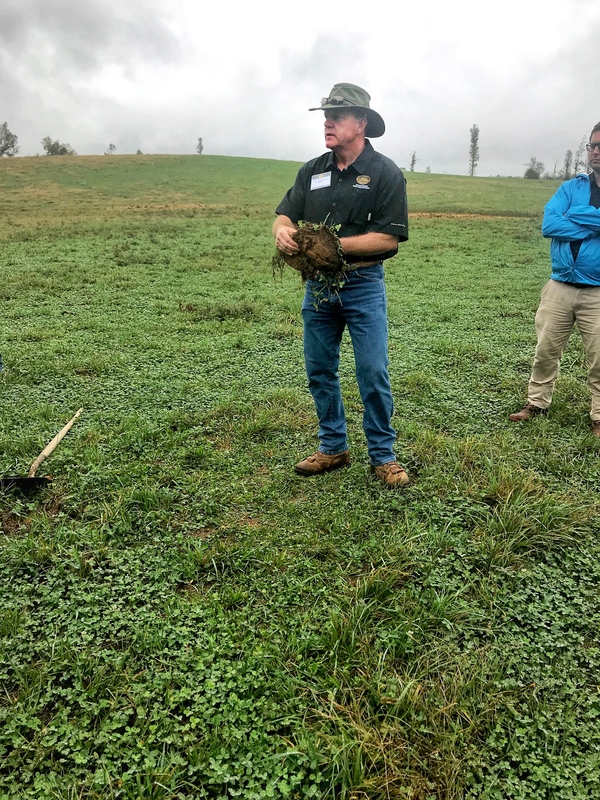 This is not only maintaining soil health through a natural process, but restoring pastures to the way it used to be. Bison will be next, the ultimate expression of this principle, because of course, prairie animals don’t belong on feed lots and there are only a handful of suppliers even doing grass. Joyce will be field harvesting, because bison don’t like to be handled and agitation manifests bad flavors in the final product. It’s a full-on, holistic approach to the entire ecosystem around commercial livestock and a commitment to doing it right.